I stayed at work pretty late today. 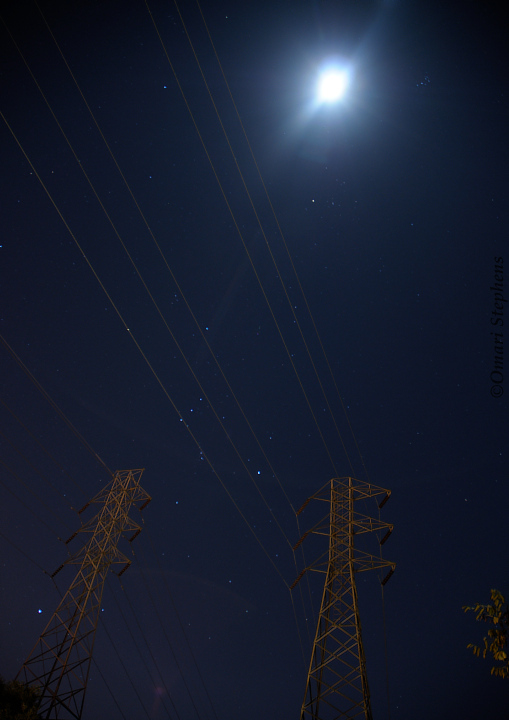 On the way home, I noticed that the sky was cloudless and clear, and the moon and stars shone brightly. So I took a photo. "There is something to be said about not trying to be glamorous and popular and cool. Just be real — and life will be real." — Joyce Sequichie Hifler, Sept 13, 2001. Hey Omari, it's Alisha from MIT. How's Google? I stumbled across your blog somewhere... this a sweet picture! Google is awesome. Thanks for the comment. I presume you're going to be at the Alumni meet? This picture is so peaceful!! I love it!